- Morgan Taylor Professional Nail Lacquer "Sweater Weather"
1. Like Pink Slate Boutique on Facebook, here. 2. Follow Pink Slate Boutique on Instagram, here. 3. Follow Connnietang on Instagram, here. 4. Leave a comment below with your name and email address for me to contact you. All 4 steps must be completed in order to qualify for this giveaway. Entries will be accepted until 01/05/2014 at 12:00 AM PST and is open to all US residents. One winner will be randomly selected and notified via email. Steal: Life In Progress Hooded Utility Jacket from Forever 21, here. Splurge: Powder Pink Utility Jacket from H&M, here. Shirt: Leopard & Leather Top thanks to Pink Slate Boutique, here. Steal: Leopard & Leather Top from Pink Slate Boutique, here. Splurge: Michael Kors Roll Sleeve Leopard Print Shirt, here. Jeans: Mya Deep Red thanks to Articles of Society via xPosePR, here. Steal: Must-Have Skinny Jeans from Forever 21, here. Splurge: Mya Deep Red from Articles of Society, here. Clutch: Round Flap Clutch thanks to JJ Winters, here. Steal: Grayson Clutch from Linea Pelle, here. Splurge: Round Flap Clutch from JJ Winters, here. Shoes: Ankle Strap Stilettos thanks to DailyLook, here. Steal: Ankle Strap Stilettos from DailyLook, here. Splurge: D'Orsay Heels in Red from Sole Society, here. OMG I love Pink Slate boutique and your blog! I am following you both on Facebook . My Facebook is Ashley Bree Perez and I am following you both on instagram. My instagram is breelovesfashion8. :) My email is perezashley60@hotmail.com . Such a nice giveaway :D I followed all the steps. Awesome giveaway!!! Thanks so much! 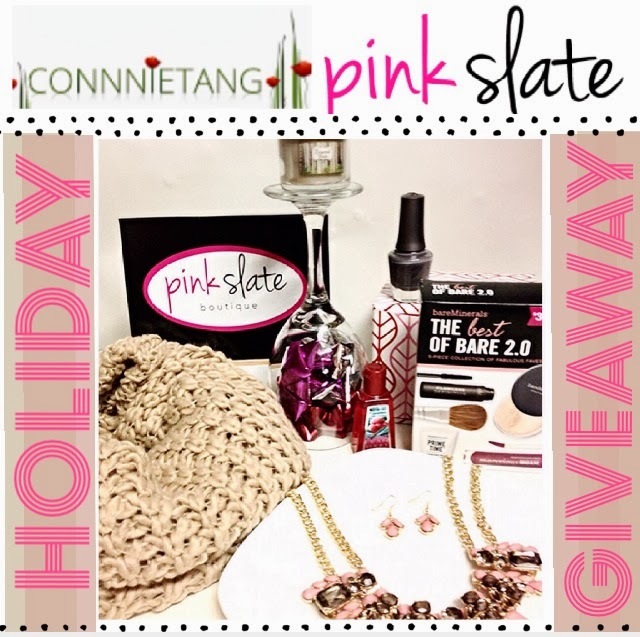 Follow pink slate on Facebook but can not access instagram Thanks! Great giveaway!! I don't have a fb or insta... can I follow you and pink slate on pinterest?